Sasha Albert is a PhD candidate in health policy. She holds an MSc from the University of Amsterdam in Sociology (Gender & Sexuality Studies), and a BA from Vassar College in History. Her research interests include reproductive health, state-level policymaking, and access to health services. A paper based on her masters’ thesis was published in the journal Sexualities. Yaminette Díaz-Linhart, MSW, MPH is a doctoral student, an AHRQ Fellow and a Health Policy Research Scholar with the Robert Wood Johnson Foundation. She received her MSW/MPH from Boston University and her BA from Mount Holyoke College in Anthropology and Psychology. Before coming to Heller, Ms. Díaz-Linhart practiced as a behavioral health clinician, coordinated multiple federally-funded research studies, and directed a legislative commission on postpartum depression for the Commonwealth of Massachusetts. Most recently, she worked as a Program Director at Boston Medical Center overseeing research and clinical programs that utilize social healthcare staff, like community health workers and patient navigators. Her research interests include studying the impact of social healthcare staff on health outcomes by understanding workforce and economic development issues, innovative financing models for this type of healthcare role, and more broadly, the management of social healthcare staff to promote healthcare systems integration. Paul Dismukes is a PhD candidate who received an MPA with a concentration in healthcare management services (2015) from Roosevelt University and a BA in political science with a concentration in international relations (2002) from the University of Illinois at Chicago. His research interests include the inner workings of public healthcare organizations and how their administrative decision-making impact service delivery, particularly in vulnerable communities. His dissertation will explore nonpecuniary barriers to service delivery in the inner city and how the culture within a public healthcare organization could either complement or contradict policy legislation such as the ACA. Current work also includes a practical application for communities of practice (CoPs) to influence broad health system change, exploration into the Bundled Payments for Care Improvement (BPCI) initiative, and a collaborative study on a self-diagnosed, self-referred PTSD tool compared to a researcher-administered tool given to vulnerable populations that visit the ED. 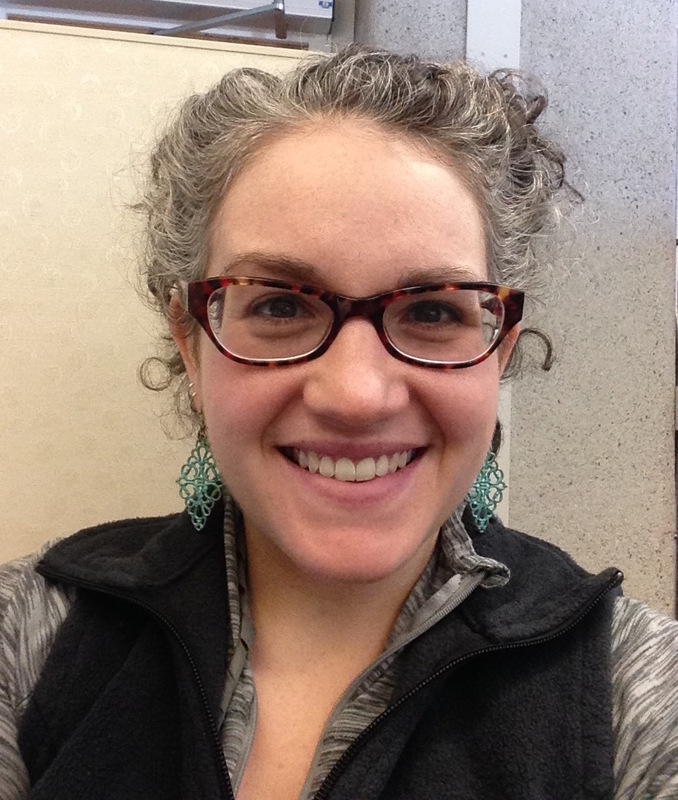 Lindsay Garito, MPH is a PhD candidate and Agency for Healthcare Research and Quality Training Fellow studying consumer health-related decision making and insurance benefit design. She received her Master of Public Health degree in Health Management and Policy from the Drexel University Dornsife School of Public Health, and a Bachelor of Arts degree in Psychology and Communications & Rhetoric from the University at Albany, State University of New York. Her research is focused on improving the value of health services by examining how consumers of health and behavioral health services use health insurance benefits (or lack thereof) to obtain care from health care providers, and when and how insurance benefit designs contribute to out-of-pocket spending. Dhwani Hariharan is a PhD student studying Health Policy. She earned a Master’s in Pharmaceutical Economics and Policy from MCPHS University and a Bachelor of Pharmacy from Pune University, India. She has research experience in areas of cost-effectiveness analysis, trend analysis, systematic review and meta-analysis. Most recently she worked as a Reviewer for the CEA Registry at Tufts Medical Center. Her master’s thesis evaluated uncertainty due to missing data in opinion-based policy recommendations. Through her education at Heller, she aims to use tools from health economics, data analytics and operations research to facilitate the decision-making process in the healthcare industry. Jennifer Kales', MA, MS, ANP, BC, ACHPN, research interests include aging, palliative care, nursing workforce issues and transitions in healthcare. 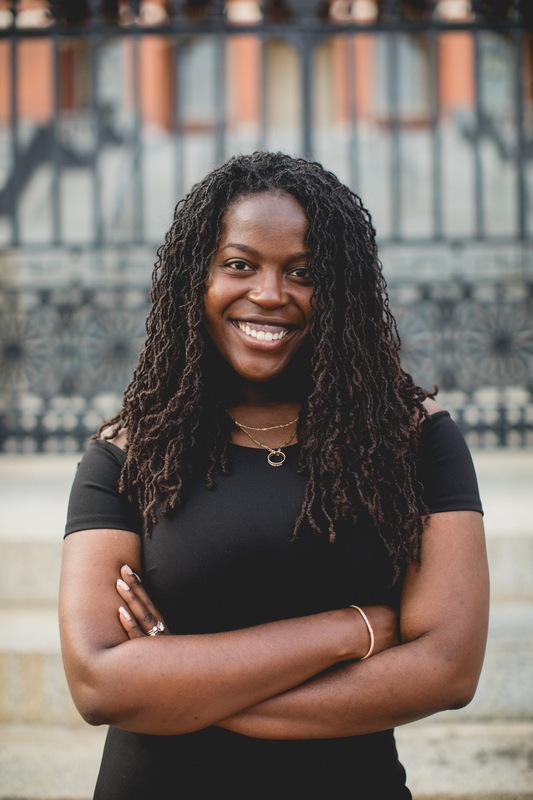 Her educational background includes a BA in Journalism, Public Relations and Economics from NYU where she later returned for her BSN in Nursing. Her MS/ANP is from the Hunter–Bellevue School of Nursing in the City University of New York, where she graduated with Department High Honors. She is a member of Sigma Theta Tau (International Nursing Honor Society) and holds certifications as an Advanced Practice Nurse in Adult Primary Care as well as Hospice and Palliative Care. Currently, she is exploring factors contributing to hospital readmissions within 30 days after discharge. She has worked with the Relational Coordination Research Collaborative at Heller as well as on research projects in palliative care funded by the United Hospital Fund and Robert Wood Johnson Foundation. While writing her dissertation, she is working as a Nurse Practitioner at Brigham and Women’s Hospital and Dana Farber Cancer Institute on the Palliative Care Consult Service and the Intensive Palliative Care Unit. She is an Agency for Healthcare Research and Quality Training Fellow and a Health Policy concentrator. Christian Lopez is a Social Policy PhD student, concentrating in Health, and is an Agency for Healthcare Research and Quality (AHRQ) Pre-Doctoral Trainee. Her research interests are centered on health care utilization among newly insured individuals, the effects of immigration status on household healthcare utilization trends, and organizational factors that promote efficiency at federally qualified health centers. Christian is focused on work related to Latinas/os in the U.S. and on the measurement of racial and ethnic health disparities. Her previous research experience includes the study of social determinants of health, substance use and prevention in the Latina/o community, and community resilience in public health. Christian has published work in the Psychology of Addictive Behaviors Journal, the Journal for Disaster Management and Public Health Preparedness, at the RAND Corporation, and with the Tomas Rivera Policy Institute at USC. She holds a Master of Public Policy degree from the University of Southern California and a Bachelor’s degree in Latina/o Studies and Political Studies from Pitzer College. Yiqun Luan is a PhD student studying health policy at the Heller School. Prior to his doctoral study, he worked in an investment bank in China where his work was focused on initial public offering and over-the-counter business. Luan received his MSc degree in Economics in The Hong Kong University of Science and Technology in 2011 and his MHS degree in Health Economics in the Johns Hopkins Public Health School in 2018. His research interests include health economics, poverty and health inequality, economic evaluation and economics of disease. Luan also holds a bachelor’s degree in Finance from Zhongnan University of Economics and Law in China. Siyu Ma is a PhD candidate studying health policy. She received an MBA/MS in Health Care Policy and Management from Brandeis University, and a MD from Shanghai Jiaotong University in China. Her research interests include health economics and outcome research, and health care quality measurement. Current work includes a study analyzing comprehensive care for joint replacement model using Premier, claims, and NHSN (CDC) data. Andrea is a PhD candidate and Agency for Healthcare Research and Quality Fellow interested in healthcare disparities, social determinants of health and comparative systems. After earning a Bachelor of Arts from the University of Pennsylvania, she received her Master of Science in Public Health (MSPH) from Johns Hopkins Bloomberg School of Public Health. She went on to earn professional certification from Stanford University in Advanced Project Management (SCPM). Before coming to Heller, Andrea spent years serving as a management consultant to government and private industry clients within and outside of healthcare. After serving as a healthcare quality advisor to a federal client, she returned to the Boston area to manage utilization and quality for one of the region's largest insurers. In this role, she went on to direct the development and growth of the insurer's business diversity program. Aligning her work and academic interests, Andrea's research is focused on comparative systems approach to health disparities solutions. With particular attention to women and children, she is working to identify best practices across policy environments of varying economic advantage, and the impacts system-level changes have on population health. Ekwu B. B. Ochigbo is a doctoral student in the Health concentration. He holds an M. Phil. with distinction in HIV & AIDS Management from the Africa Centre for HIV & AIDS Management, Stellenbosch University. Previously, Ekwu worked as a pharmacist and HIV & AIDS resource person. Some of his past research experiences include an HIV AIDS treatment adherence study, and also a pharmaco-kinetics clinical trial of Nevirapine XR formulation in pediatrics for FDA registration for Boerhinger Ingielham International. His interests include health policy research & analysis, therapeutics, and treatment outcomes research. H. Awo Osei-Anto's current research interests include promoting patient centeredness in cancer care; specifically, researching patient-centered care for patients with limited English proficiency and foreign-born patients. She received an MPP with a focus on health policy and a certificate in Health Administration and Policy from the University of Chicago and a BA in economics, international studies and French from Illinois Wesleyan University. She is also interested in global applications of best practices for health care financing, patient safety and care delivery. Current work also includes a study analyzing the types of information minority elderly and their families seek in choosing nursing homes with the goal of stratifying national nursing home measures by race. Frannie Shechter Raede is a PhD candidate studying health policy. She received an MPH in Emergency and Disaster Management from Tel Aviv University, and a BS in Policy Analysis and Management with distinction from Cornell University. Her research interests include exploration of critical assumptions in health policy design and implementation. Frannie's dissertation explores the role of care transitions and accountable care organizations in the total knee replacement episode of care for Medicare patients. Past work has included studying ED utilization among Mississippi Medicaid beneficiaries, analyzing utilization of direct-acting anti-viral drugs for treatment of Hepatitis C, and understanding care for individuals with traumatic brain injury in Massachusetts. Drew Zachary, MPP, is studying health disparities in the U.S. and policies related to behavioral and environmental health and well-being. She received an MPP from Johns Hopkins University and a BA in Political Science from George Washington University. Her research interests include nutrition and diet-related illness, community health resources, and federal policy design. Recent research focuses on low-income households’ food purchasing decisions and policies to create a healthy food environment. Her work has been published in Qualitative Health Research, and presented at the Tufts Symposium on the Food Environment and the Society for Applied Anthropology conference. She is a Health Policy concentrator. Xiaofei Zhou is a PhD candidate studying health policy. She received her MA in economics from Boston University and BS in economics from Guangdong University of Foreign Studies in China. Her research interests include geographic variation in health care utilization and the impact of the changes in market structure on healthcare utilization and cost. Her dissertation explores the causes and the consequences of the urban and rural difference in healthcare utilization among the elderly with diabetes. Her current work also includes an analysis of how the health electronic record affects the health quality and cost in Louisiana, and a project on how the Accountable Care Organizations (ACOs) affect the quality and cost in post-acute care.